It’s almost back to school time! New clothes, organized supplies, and fresh resolve to keep up good routines. I’ve told you guys how I’ve been going to school online for the last couple of years to finish a degree in web design. Back in May I started an internship that has me out working full-time, which is new for our family. My husband works from home and can check in on the kids now and then as they get ready for school, but of course he’s working, so most of the responsibility falls on them to make sure they are ready to go. I want to help them be as successful as possible of course, and we’ve discovered there’s ONE thing we can do at night that makes a big difference the next morning. Make lunches the night before! For some reason, it seems like this task takes only 5 minutes at night, but lasts for 15 if we try to do it before heading for the bus. That’s probably an exaggeration, but there’s so much less stress if they can just grab their lunch from the fridge on their way out the door. 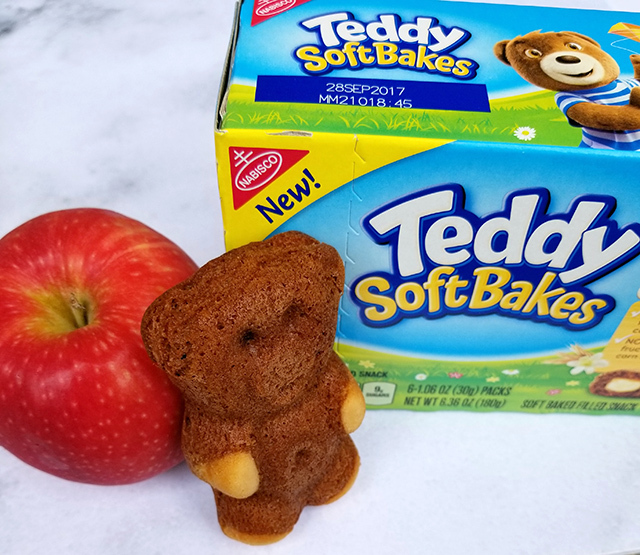 Look how cute these TEDDY Soft Bakes are that we’ve discovered at Fred Meyer. 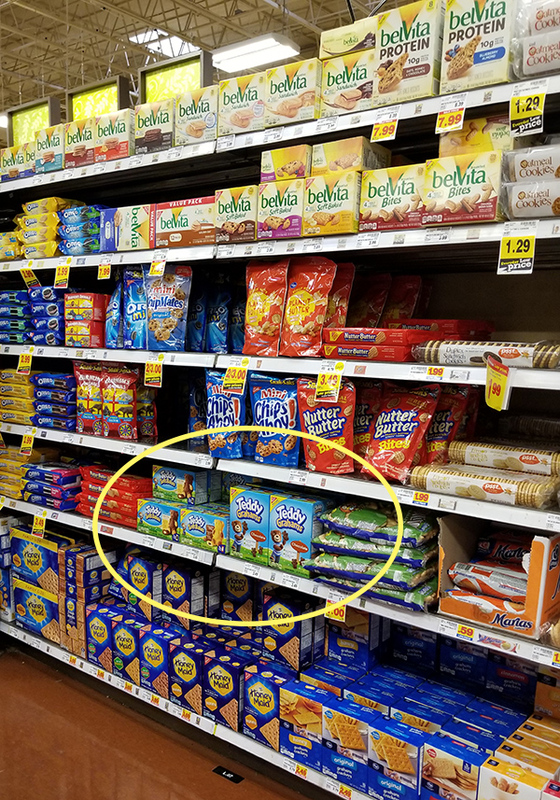 Click here to find your local Fred Meyer! 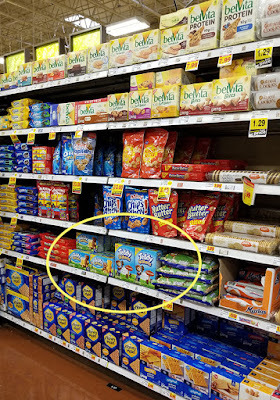 There are two varieties, chocolate and vanilla, and they are baked with parents and kids in mind. 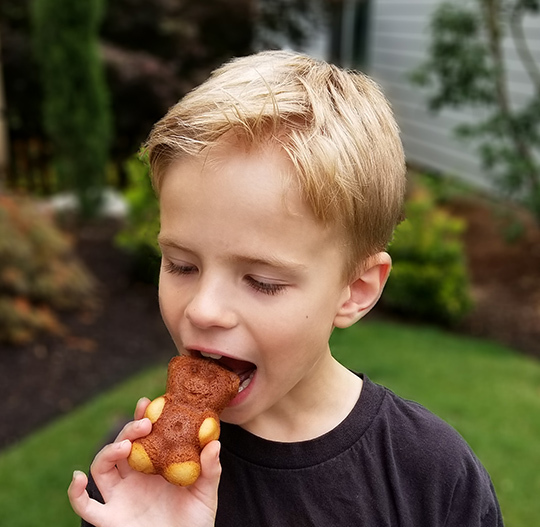 Great taste, surprising filling inside, and real ingredients like milk, eggs – and no high fructose corn syrup! Since they’re individually wrapped, it’s super easy to add one to each lunch. It helps to have a nice game plan as far as what goes into the lunches too. We generally stick with a sandwich, a fruit or vegetable, a snack item (like crackers or cheese) and a treat. 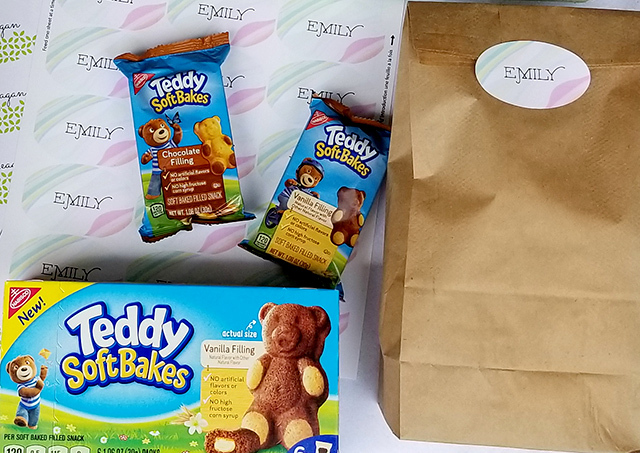 We take a few minutes at the end of the day to assemble sandwiches, put fruit, veggies, and crackers in baggies and sort out into lunch bags. 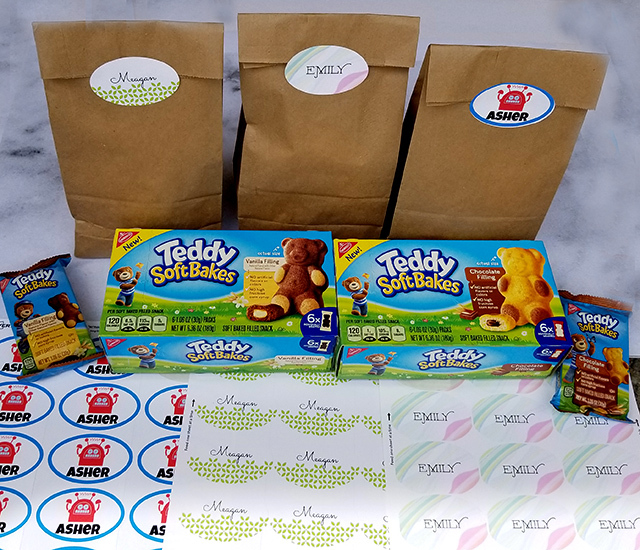 I also thought it would be a good idea to make some name stickers for each of the kids so that there’s no chance that lunches will get mixed up in the fridge. You can buy pre-cut sticker sheets and there’s usually a program online that lets you design templates to print out the stickers on your home printer. 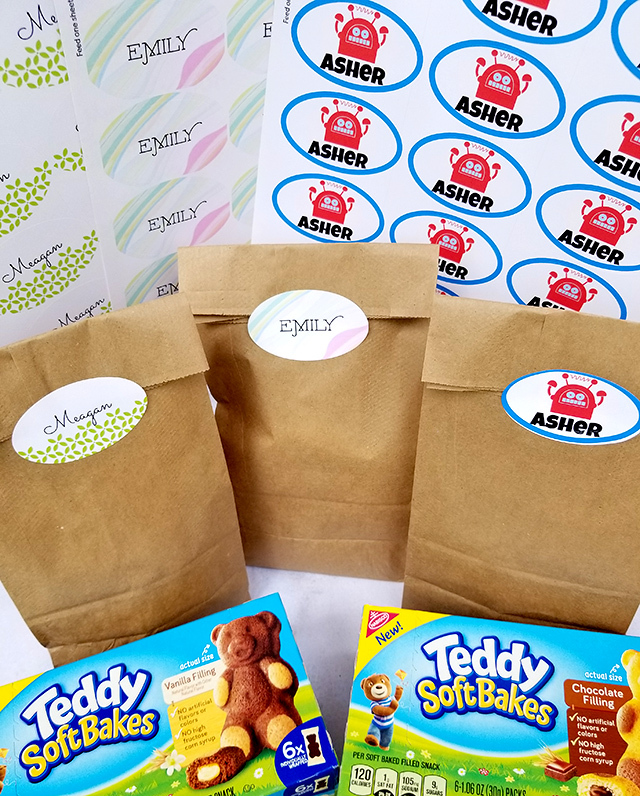 I picked a different pattern for each kid and added their name to the labels and sent them to my printer. Now they’ve each got a set of stickers to label their lunches! 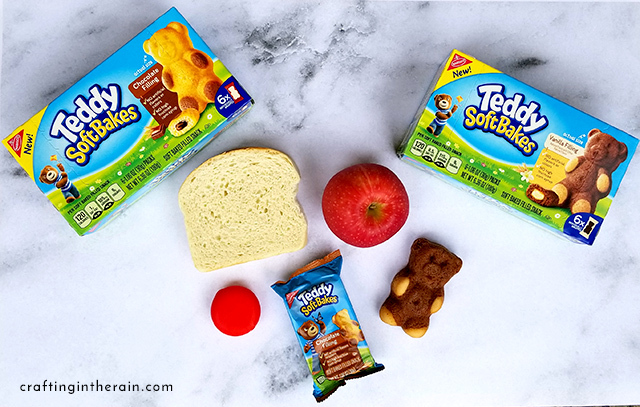 So add TEDDY Soft Bakes to your lunch and snack rotation and give your kids an extra smile. What do you do that helps your family have a smoother school morning? I’d love all the tips I can get!